you know for sure one woman can do the job by herself. 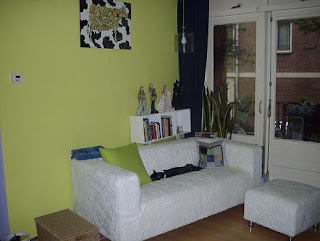 I have more pictures of the major livingroom makeover, but I need some time to resize them. So I will be blogging about it somewhere this weekend. Gepost door Marion op 6/05/2008 09:07:00 p.m.
Secret LHN-exchange from Joan S.